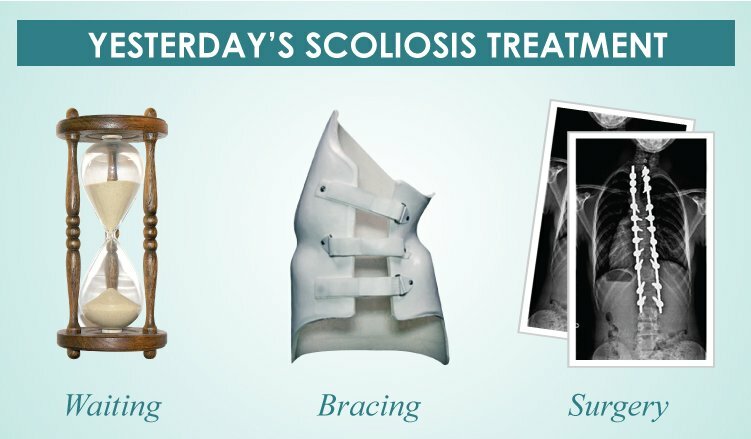 Opt for the Best S-Shaped-Scoliosis and C-Shaped-Scoliosis Treatment in Malaysia. Contact our clinic today! Scoliosis is a condition in which the spine bends sideways. This sideways curve can occur in either a c- or an S-shaped configuration. But, to enhance our readers’ understanding, it is appropriate to provide a brief overview of the spine before getting on with our explanation of the S-Shaped-Scoliosis and C-Shaped-Scoliosis. The human spine is divided into three main sections, plus the tailbone: cervical, thoracic, and the lumbar spine. The cervical spine (neck) has seven bones (spinal bones or vertebrae), there are twelve spinal bones in the thoracic (upper and mid back) area, while the lumbar spine (lower back) section contains five bones. The tailbone is a combination of the sacrum and coccyx. The sacrum is a major, weight-bearing bone of the spine as it transfers the weight of the upper body onto the pelvis; the coccyx is a non-weight-bearing joint and a point for muscle attachments of the sphincter muscles (muscles used in defecation). In talking about the spin, it is important to take all of its associated structures in consideration. This is even more critical in discussions of scoliotic curvatures. What are the Different Types of Scoliotic Curves? The S-shaped-scoliosis and c-shaped-scoliosis can happen at any age. The S-shaped variety, as the name suggests, has similarities with the letter S and is also known as double scoliosis. S-shaped scoliosis is becoming common fast, and it is a more dangerous form as it can progress rapidly, especially when it appears in the juvenile period (between 4 and seven years) or adolescents (ages 9 to 17). A typical S-shaped or double scoliotic curve is one where the spine bends in different sections such as the thoracic and lumbar segments of the spine. In short, S-shaped or double scoliosis has two parts—an upper part and a lower part—bending in opposite directions. 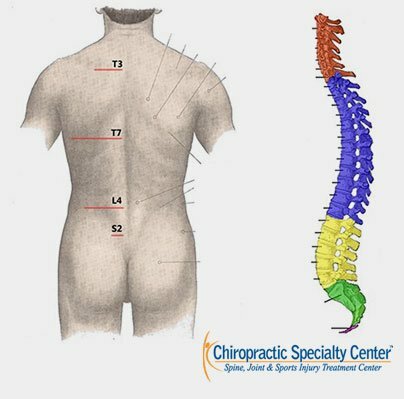 The upper part often involves the thoracic spine (upper and mid back), while the lower part impacts the low back (lumbar spine). However, there are situations in which a curve can involve two segments, such as a thoraco-lumbar curve or a cervico-thoracic curve. The Cervico-thoracic curve is the upper part of scoliosis that impacts the neck (cervical) as well as the upper back and even portions of the mid-back (thoracic). Alternatively, the Thoraco-lumbar curve is associated with the lower part of double scoliosis, impacting the mid-back (thoracic) and the low back (lumbar spine). Collectively, they represent transitional scoliosis that crosses borders of deferring spinal segments, and as such, they are harder to manage. In S-shaped or double scoliosis, there are two curves. As such, there is a need to classify both regarding location as it relates to the midpoint of the body and severity or stiffness of a curve. Nowadays, there is much talk about the flexibility of a curve. Its stiffness dictates the flexibility of a curve. Most surgeons classify a curve based on its flexibility. This stiffness is given to curves that do not reduce when bending toward the side of the scoliotic curve, which is better known as the “convex side” or “convexity.” A 25-degree or more curves, failing to be reduced following a side bending, is classified as a stiff curve. The noteworthy point is that this is an x-ray assessment that was established by Dr. Linke. An important characteristic of stiff curves is that they are notoriously troublesome and, as such, difficult to manage or treat clinically, either conservatively or surgically. There are two basic types of C-Shaped scoliosis: The Dextroscoliosis and Levoscoliosis. Dextro-scoliosis is the term given to a “C-Shaped” scoliosis when the spinal curve is on the right side. Similarly, Levo-Scoliosis is the name assigned to c-shaped scoliosis on the left. Therefore, the so-called c-shaped scoliosis can even resemble a backward “C.” However, it is important not to confuse C-shape scoliosis with Kyphosis. While the C-shape scoliosis is visualized when viewing a person from the rear, the kyphosis c-shaped curve of the spine is identified when visualizing the spine from the side. Kyphosis is a natural curve of the mid and upper back in which the spine bends forward. What are the Clinical Implications of Curve Location and Severity? Sound clinical assessments providing an in-depth analysis of the scoliotic curve are critical to successful outcomes. Hence, the more we know, the better results you get. Severity and location of the curve and the analysis means or methods we use in our centers are all focused on getting you better faster. The double scoliosis is a difficult condition to treat. Therefore, the need for identifying the most offending of the two curves is essential in our target-specific scoliosis treatment programs. The most challenging of scoliotic conditions is the “S” shaped scoliosis, as it presents with two curves, each bending to an opposite side. Our methods of scoliosis treatments are based on sound clinical chiropractic methods enhanced with physiotherapy and therapeutic devices. This collaborative process requires the utmost attention to location and the severity of the curve, so that we may be able to provide a better means of targeted care through our methods. We hope you found our S-shaped-scoliosis and C-shaped-scoliosis section helpful. 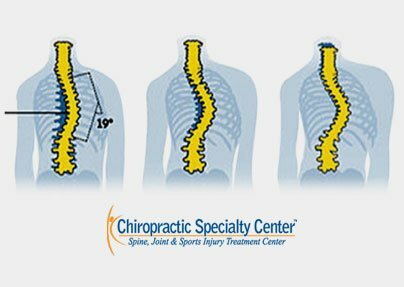 Please contact one of our centers today for an in-depth analysis of your scoliosis today: Our clinical teams of Chiropractors and Physiotherapists will discuss type of curve, its classification, and effective treatment or management program before the start of your sessions. So, call our center today for a clinical assessment of either the S-Shaped-Scoliosis and C-Shaped-Scoliosis today.